Do you have a specific font which is unique to your company branding? CommuniGator supports a range of fonts which we know work in multiple browsers and multiple applications. 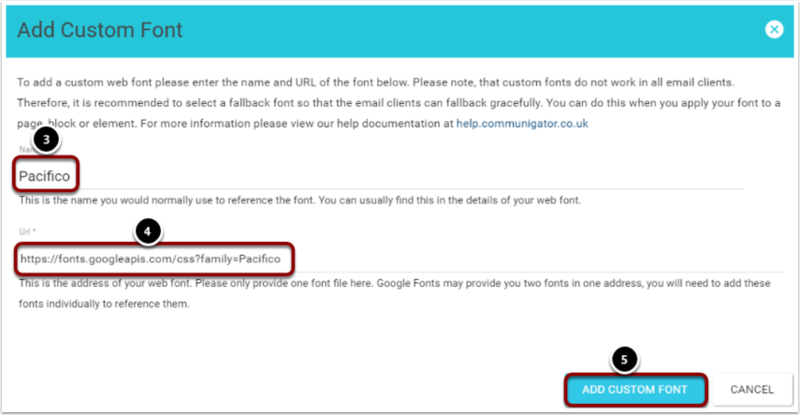 We also enable you to stick to your Company Branding by adding custom fonts from Google. Find the font you wish to use. Click the red cross icon for the chosen font. This will bring up a small window. You will see the standard embed code for the font. ONLY copy the URL for the font as shown above. If you copy the whole embed link it will error in CommuniGator. Remember the name of the font, ideally copy it into a notepad to use as it has to be put into CommuniGator exactly. 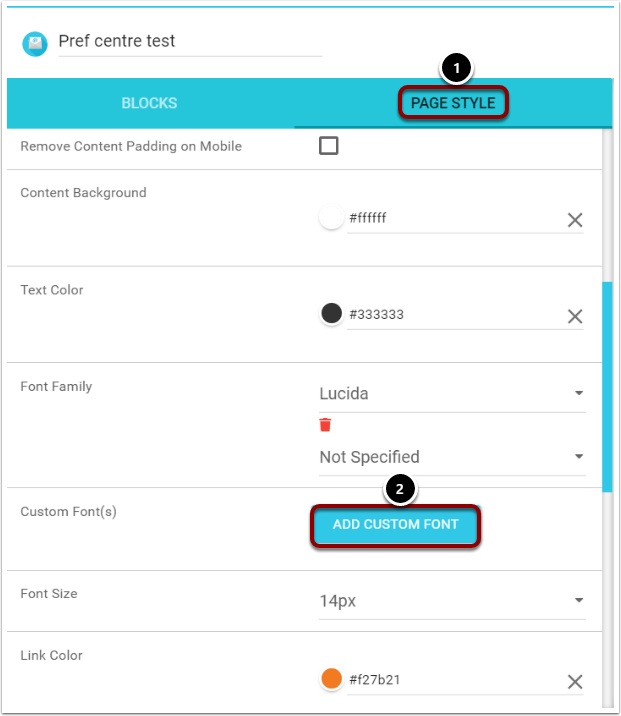 In your Creator email, select 'Page Style'. Scroll down until you find the option to 'Add Custom Font'. In the pop-up window, type in the name of the font as shown in Google Fonts. It MUST be spelt exactly the same. Make sure there are no spaces unless needed. 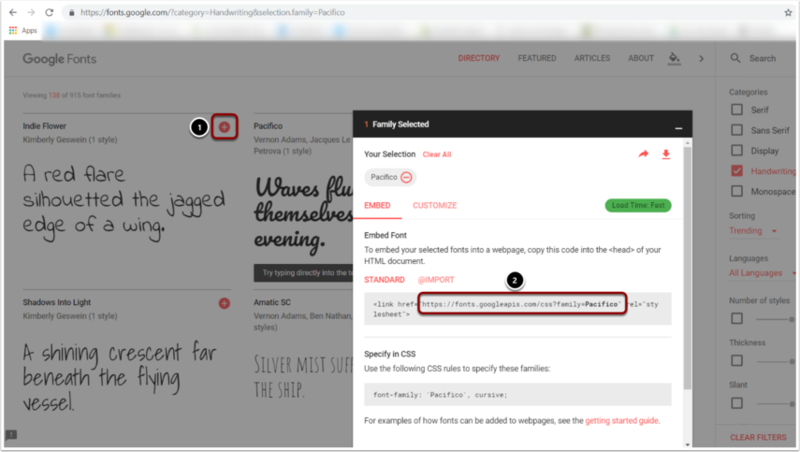 Enter in the URL as shown on the embed code in Google Fonts. 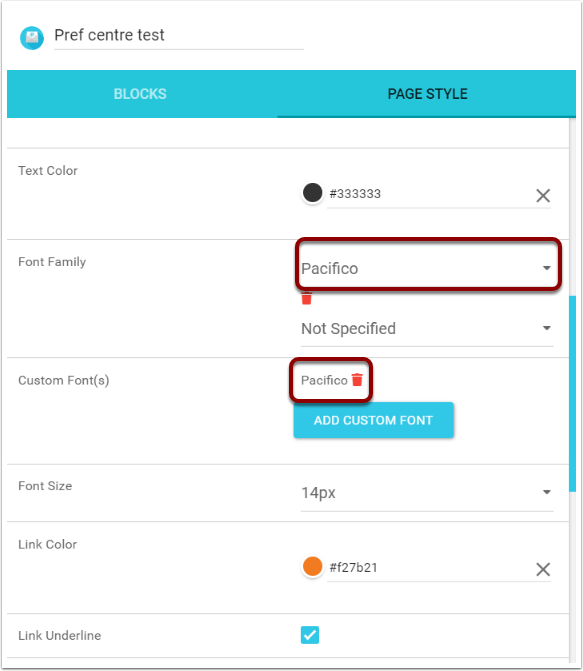 You will now be able to see the custom font in the custom font section. It is also available to click from the font selection drop down. Please Note: It is highly recommended that you set a backup font as well as your custom font. Many fonts cannot be displayed for varying reasons, so having a backup font ensures your content is viewable in any situation.